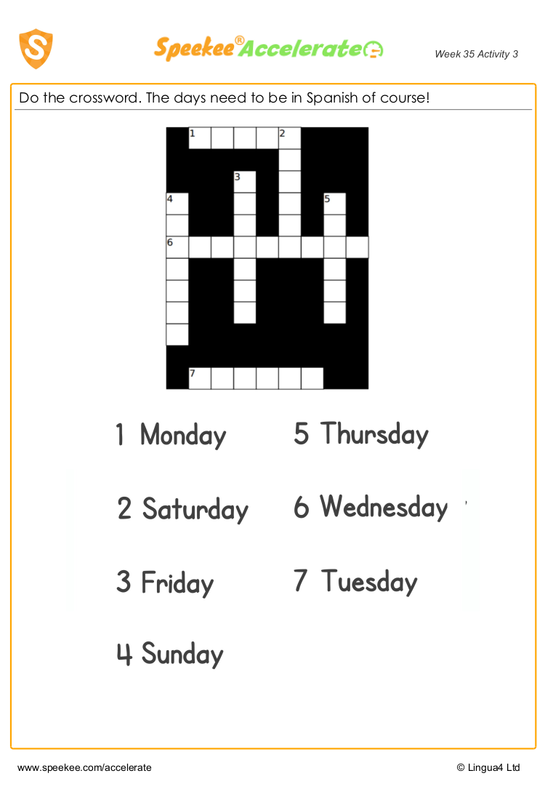 In this Spanish days of the week worksheet children do a crossword. The days need to be in Spanish of course! Do the crossword. The days need to be in Spanish of course!